Introducing the newest addition to the Burry Bagel line up. This popular flavor joins the already popular flavors of plain and cinnamon raisin. Perfect for your on-the-go customers! 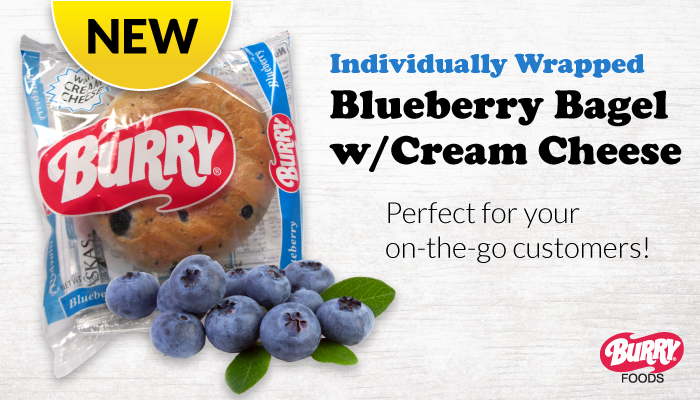 Burry’s bagels with cream cheese products are retail ready, individually wrapped and have a 21 day refrigerated shelf life.